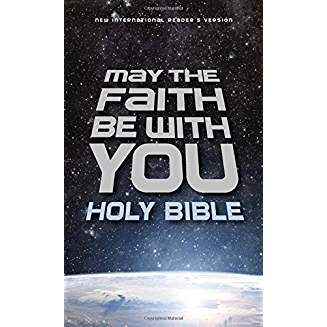 This new kids Bible offers 24 full color sections titled, Ways of wisdom, Use the force and Master moment. On each colored page are questions and answers like, Who is God? - What is the Bible? - What is in the Bible? - to name a few. Included in the colored pages are a list of the books of the Bibles divided into categories of history, prophets etc.. Psalms 23 and the ten commandments are displayed on a full-colored page. Also included is a list of famous people and children of the Bible. The reader will be able to look up what the Bible says about certain things like anger, death, giving and other topics. If they want to study the parables of Jesus, a list of those are included. If the reader is feeling lonely, jealous or sad there is a list of verses to look up for help. The question, what is the trinity, is answered and the ABC’s of Christianity are explained and at the end of the book is a list of 92 Bible stories. When you combine these features with the NirV Bible you have a great tool for the inquisitive mines of kids. 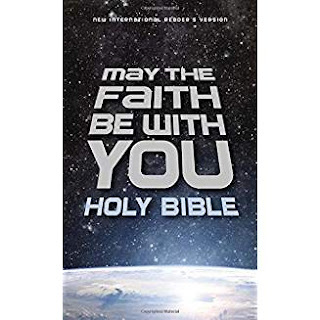 I admit that when I first saw the title of this book it made me think of Star Wars series and I almost did not request it, but it is about faith in God not just some invisible force. As the old saying goes “You can’t judge a book by its cover”.